Student pastors want to be successful. We want to be successful as leaders and we want our student ministries to be successful as well. If that is the case, how do we measure that success? For many in the student ministry world, success is measured by attendance. 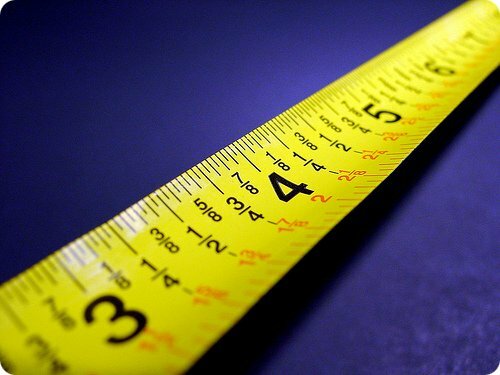 How big your student ministry is determines if you are successful or not. Or maybe it is number of salvations. The numbers of students getting saved determines if you are successful or not. I could go on and on with many different factors that many of us use to determine our success in student ministry. These things are not bad and are certainly things that give you a look at how you’re doing, but they are not always the best ways to determine your success in my opinion. I think there are three ways to measure success in student ministry that often get overlooked. 1. Faithfulness. I believe if there is a single word that could measure your success it is faithfulness. Have you been faithful to the task God has placed before you. You may never see your student ministry grow numerically, you may only see a few students, and may never have students commit to full-time ministry. That’s ok! The results are God’s responsibility, not yours. God doesn’t require you to produce certain results, He requires you to be faithful. Do you want to be truly successful in student ministry? Be faithful! 2. How many of your students are living for Jesus outside of your youth group walls. I have seen many student ministries that seem “successful” when you’re at their large student gatherings or when they are on a ministry trip because they have large numbers and all the students seem to be loving Jesus. But when you see those same students outside of that student ministry, whether it’s in person or on a social media site, they are completely different from when they are with that student ministry. I believe this is a problem. Your not called to pour into students so they can be “Christians” at youth group, but that they live for Jesus daily in the context of a sinful world. Build your student ministry in such a way your equipping your students to live for Jesus outside of your student ministry. 3. How many of your students walk with Jesus after graduation. You probably have seen the statistics. Up to %80 of students walk away from church and Jesus after they graduate high school. Student ministries are doing great at getting students and keeping them while they are in school, but we lose them right after graduation. This is a huge epidemic in student ministry that we need to see changed. Thankfully some churches and student pastors are seeing it and getting serious about producing students who walk with Jesus both in school and after they graduate. I believe one of the best ways to measure success in student ministry is how many of your students walk with Jesus after they graduate high school.